Select your destination and/or trip style, and browse our selection of packages. We enjoyed our five days cruising around the Galapagos Islands. Our yacht "Estrella del Mar" was a comfortable boat. Fortunately, the waters were not too choppy. The Captain and crew were very nice and always there to help and assist the passengers. 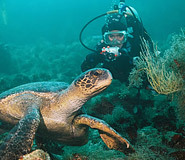 Browse our selection of exciting Galapagos Cruises and Ecuador vacation packages. 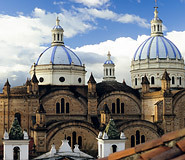 Our tour packages were designed by our travel experts to highlight the best Ecuador has to offer. From the lush Amazon rainforest, majestic volcanoes, many charming colonial cities, and the magnificent Galapagos Islands, Ecuador offers a wide variety of destinations for your vacation. All of our packages, tours, and services are customizable, so feel free to mix and match to create your dream vacation. For an intimate experience at the best destinations in Ecuador, book a single destination Ecuador tour or combine several. Galapagos For Less travel experts specially selected and designed these tours to give you the best value and most exciting travel experience. 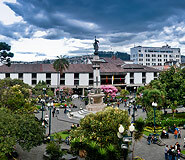 We offer tours to the most popular Ecuador destinations. All tours can be customized and combined with others according to your preference- because we take you where you want, when you want. Discover the miraculous wildlife on and off the shores of the Galapagos Islands on an exciting Galapagos cruise. 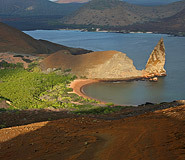 Teeming with marine and bird life, the Galapagos Islands are the perfect destination for nature and wildlife lovers. A cruise is the ideal way to experience the majestic beauty of the many islands, and with a variety of itineraries available the Galapagos Islands are more accessible than ever! Choose from sail boats, yachts, and cruise ships for your travel adventure. 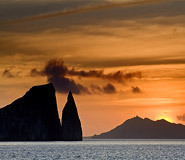 With a variety of options and itineraries, your Galapagos cruise is sure to be an unforgettable experience! Experience the best nature has to offer on an exciting Galapagos tour. Perfect for those who want a land based Galapagos experience, these adventure tours will allow you to explore a variety of landscapes and discover the unique and diverse wildlife found throughout the archipelago. 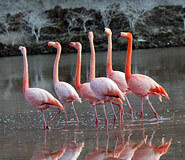 Our Galapagos Island hopping tours combine adventure with wildlife observation. All tours can be combined with any other package or destination tour to complete your travel experience. Explore the wonders of the Galapagos with an island hopping tour designed for travelers who want to take advantage of the myriad activities available in this truly magical setting. All our tours can be Fully Customized according to your preferences, our travel experts are happy to help. 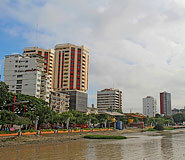 We are a leading Ecuador travel agency providing services to thousands of satisfied customers every year. Why do people choose to travel with us? for all package tours. All HOTELS and TOURS are based on US standards. No late booking fees. within 24 hours. While traveling in Ecuador you will have access to our local 24/7 emergency number. Copyright © 2001 - 2014 All rights reserved. Latin America For Less. 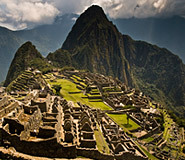 Peru for Less, LLC.